Over the past two years, our Troop has made a number of changes to get on The Canadian Path. Overall, it’s been a good journey for us. The Scouts are enjoying the program. A good way for a Troop to get on The Path is to start with some of the resources available at CanadianPath.ca. The Post-it Note activity is great; we use it all the time. The Canadian Trails Map is another good resource. It helps both the Scouts and the Scouters to keep the six Program Areas in mind when planning adventures. Have the Scouts brainstorm what they would like to do. Remember, an adventure is not necessarily a challenge. An adventure can be anything new that hasn’t been done before. Get the Post-it Notes sorted by Program Area and have the Scouts vote on the suggestions. 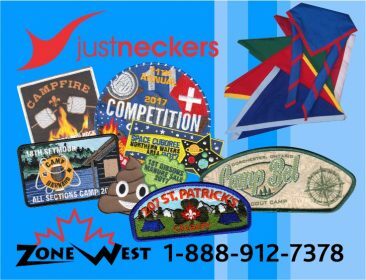 Bring these to your Troop Leadership Team (what we’ve traditionally called the Court of Honour) and get the youth to do the final picks. Identify an adventure for each Program Area and have the youth determine when they would like to do it. Some may depend on the season. Others, like visiting a climbing gym, can happen at any time of year. Time to plan! What do we need to do in order to do the adventure? What skills do you think we need? Let’s say the Troop is going on a hike. Help the youth determine what they may need to learn ahead of time and what they need to bring. Use the meeting nights to do your training and preparation. Have them bring in their kit and practise packing. Practise lightweight, one-pot cooking. The meeting nights have a real purpose and the Scouts are engaged in their adventure. Go on your hike, and then review the experience. What worked? What would we do differently next time? What do you know now that you did not know before? You’ll notice that everything we do is based on the Four Elements. It’s not too complicated, and once your Troop gets in the habit of some new practices, you’ll find your Scouts are more engaged than ever.